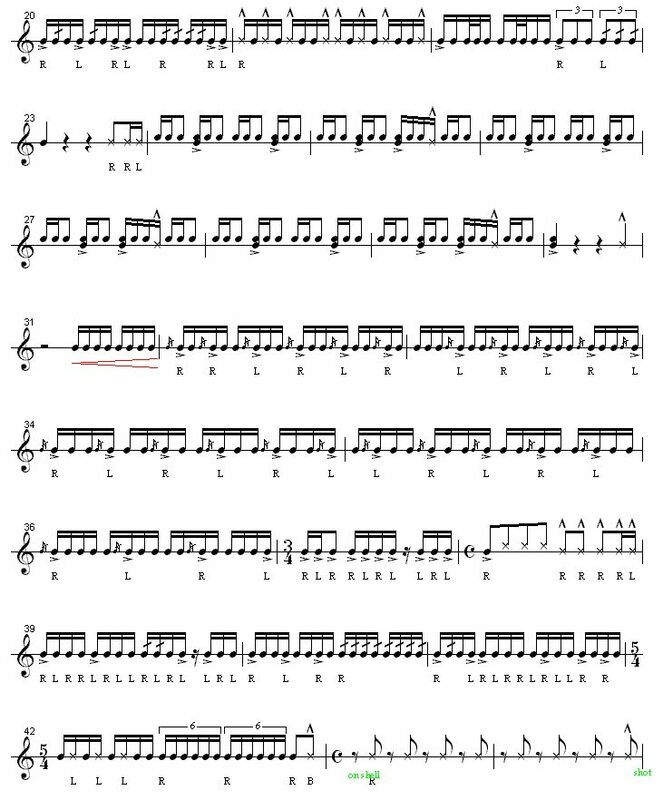 Now if your gonna play set you should learn snare.Heres some snare music starting with the rudiments. 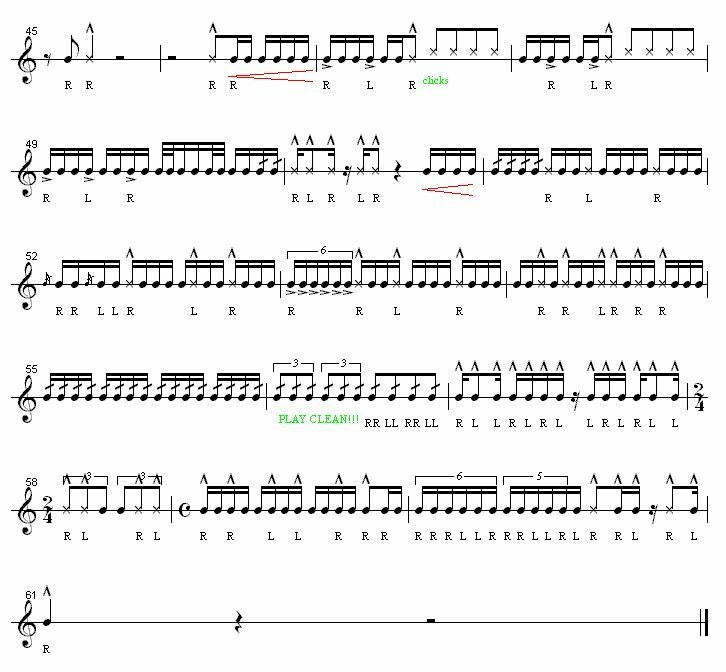 Each of the rudiment pages below include "embedded" Quicktime audio and video clips. In order to view these pages, you must have the Quicktime player and plugin installed on your computer (download it free at http://www.apple.com/quicktime/download) AND you must use Internet Explorer version 4.0 or higher. If you're learning the rudiments, be sure to read our practice suggestions, submitted by percussion instructors from around the country! 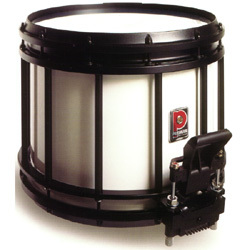 If you're a percussion instructor yourself, leave us a tip or practice suggestion on how YOU teach the rudiments! Dennis DeLucia's "Rudiment Learning Sequence"
Dennis DeLucia, Vic Firth Artist and Education Team Member devised the "Logical Learning Sequence" to give directors, instructors and students an approach to learning the rudiments that takes into account difficulty, inclusion of rudiments from each "rudimental family" and the popular usage. The 10 rudiments in Quadrant A form the basis for all of the other rudiments. Beginning students (or "first-timers" to the rudiments) should begin there and eventually progress through the other quadrants after they have achieved a medium level of proficiency ("silver or gold level"). NEW! The entire Learning Sequence is now available in PDF format! 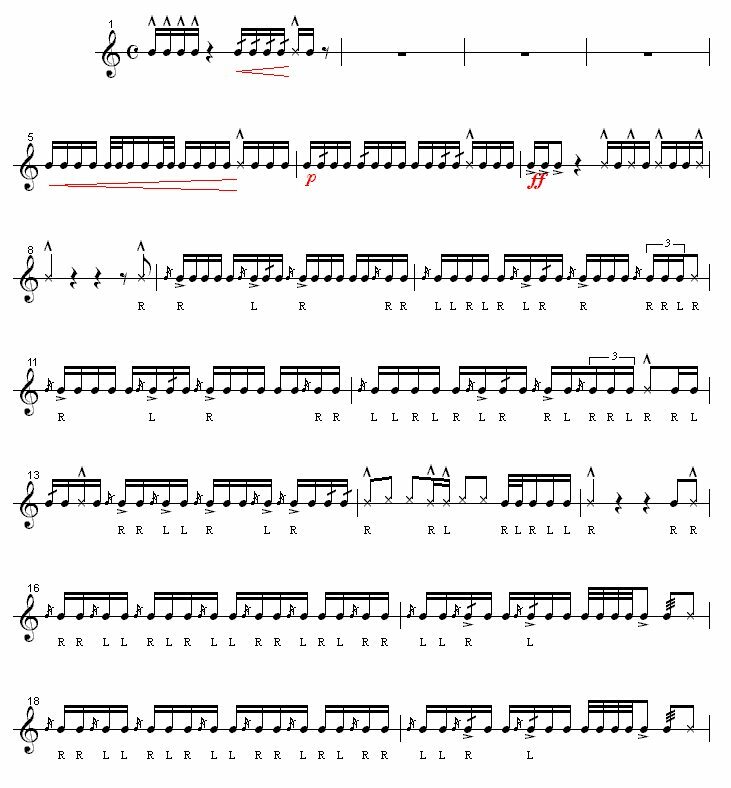 Each PDF includes the rudiment, rudiment application and progress chart so that you can print it out and take it with you or pass out to your students! The Acrobat Reader plugin is required. This is cyber lessons.Look to your left< to see what instrument you can play. This is a cadence. 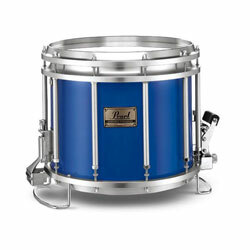 It doesnt say the name of the piece.If you want the tenor or bass parts,click this for the Quadz sheet music and for bass click this drum line sheet music.For cymbals click this Cymbal part. you have to look for them.They all have links to the other version.